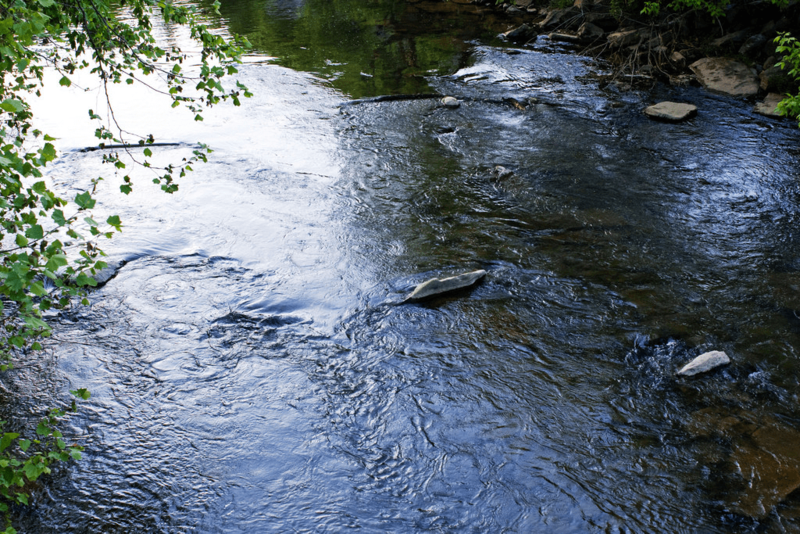 Minor losses represent sources of energy depletion along a river reach that are not related to friction loss. For example, minor losses are energy losses related to expansions and contractions along a reach, secondary currents, spiral currents, and eddies. They are generally created by increased turbulence and resistance to flow at areas in the reach where the direction of flow is changed or where other obstructions are present. Minor losses account for a significant percentage of the total energy loss in a reach. They must be entered into the total energy loss calculations to prevent discrepancies between actual conditions and HEC-RAS computed results. From the Input ribbon menu, select the Cross Sections menu item and then select the Edit Minor Loss Coefficients command. The Edit Minor Loss Coefficients dialog box will be displayed. The following sections describe the Edit Minor Loss Coefficients command and how to interact with the above dialog box. This section enables the user to select the desired river reach. Click the [Pick] button adjacent to the Reach name entry. The dialog box will temporarily disappear, and a prompt is displayed on the status line, informing the user what to do next. Select the river by clicking on it in the Map View. 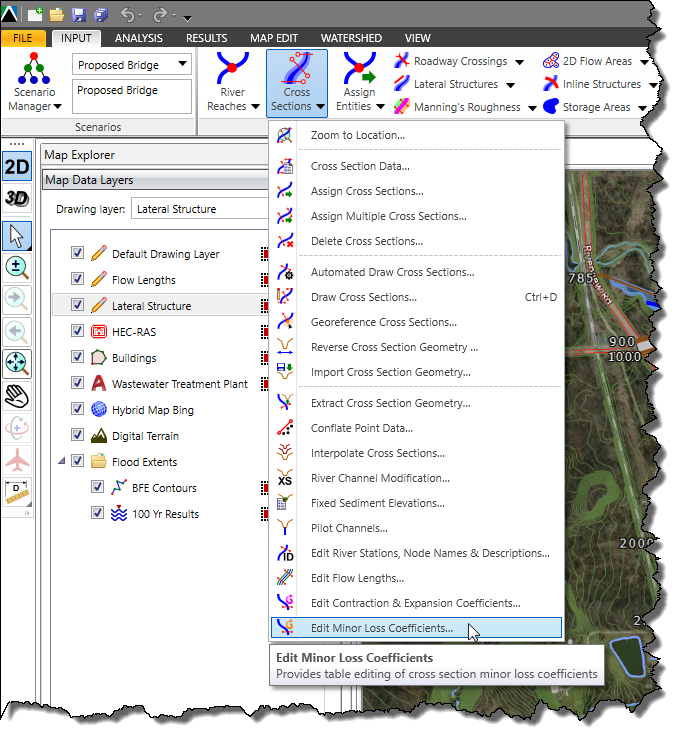 Alternatively, the user can click the dropdown combo boxes adjacent to the River name and the Reach name entries and select the desired river reach. 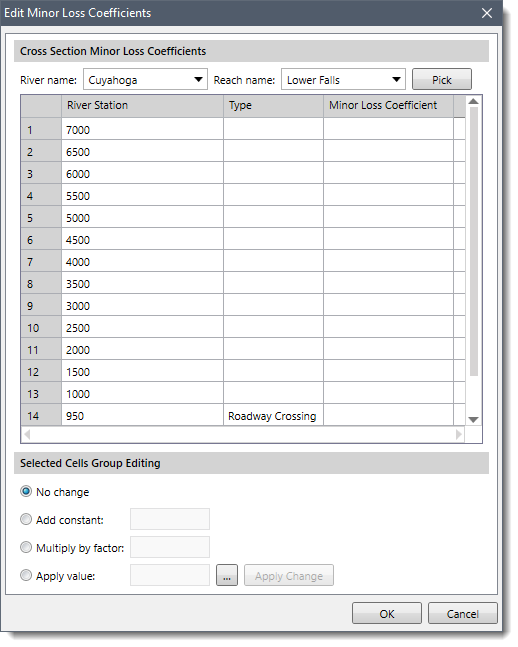 This section displays a table listing the cross sections contained in the river reach and their respective minor loss coefficients. If an entry is blank, then no minor loss is applied to the cross section hydraulic computations. The user can export the table as a PDF file or a Microsoft Excel file, or copy the table to clipboard. To edit the cells coefficient, select the cells by clicking on them while pressing [Ctrl] or [Shift] key; choose the desired cell-editing option; enter the change coefficient, and then click the [Apply Change] button. Minor losses due to secondary and spiral currents are known as minor loss due to a meander bend and must be integrated into the model calculations. These losses can be accounted for in both steady flow and unsteady flow analysis. The minor loss coefficients can vary between 0.0 and 1.0. This loss coefficient gets multiplied by the velocity head at the cross section it corresponds to for calculating the minor energy loss. For steady flow computations, this energy loss gets added to the energy equation. For unsteady flow computations, the energy loss is converted to an equivalent force and then inserted into the momentum equation. In both cases, the energy loss is assumed to act as a force in the upstream direction slowing the flow down. Since the average minor loss due to the meander bends through a meander bend is significant in the physical model, it is evident that spiral and secondary currents must be included in total energy loss calculations. Minor losses due to a meander bend are calculated by first calculating the average velocity, total energy, and friction loss at each cross section in the model. After these values are calculated at each cross section, total energy loss through each meander bend is calculated.